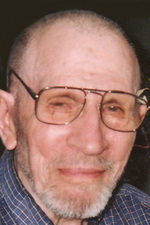 On February 28, 2010, Mr. William (Vlas) Darcovich of Edmonton passed away at the age of 88 years. William is survived by his loving wife, Isabelle Boyko-Darcovich; step-daughter, Anne Marie (Glen) Burley; six grandchildren, Daniel, Michael, Alexander, Christopher, Matthew and Jacob; brother, Peter Darcovich; step-brother, Jack Darc; step-sister, Olga Darcovich; sister-in-law, Anna Darcovich; as well as numerous nieces, nephews, relatives and friends. Predeceased by his first wife, Helen Darcovich; sisters, Zennie Heiser, Helen Darcovich; and brother, James Darcovich. Funeral Rite Friday, March 5 at 10:00 a.m. at St. John’s Ukrainian Orthodox Cathedral, 10951 – 107 Street. Right Reverend Stephan Semotiuk officiating with interment in Evergreen Memorial Gardens. In lieu of other tributes, memorial donations may be made directly to St. John’s Ukrainian Orthodox Cathedral, 10951 – 107 Street, Edmonton, AB T5H 2Z5 or to the Ukrainian Museum of Canada, 910 Spadina Crescent East, Saskatoon, SK S7K 3H5.